Have you ever felt awkward or unsure about marketing your yoga classes or massage therapy through social media? 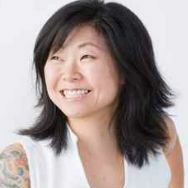 Yoga teacher and social media consultant, Mia Park, gives this advice: first be grounded in your purpose, or dharma. Seat yourself in your practice and in knowing yourself and what you’re meant to do. Social media marketing will flow from that.